messenger platforms. As we all know how whatsapp has spread we need not to speak about it. 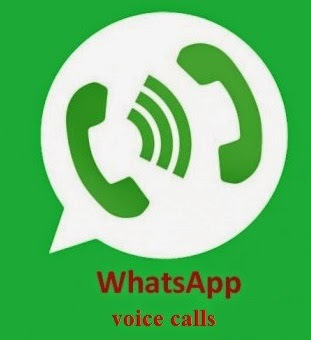 Now coming to the point what's app is gonna add free voice call option to it!!!!! According to the snapshots, the calling service screen will resemble the design of the iOS 7 phone app. It is expected to come with a 4-button series for muting call, switching to text message, directing the call through device speaker and for hanging up. On top of the display screen is the contact’s name, image and phone number. All calls made using this new feature come with a colored ‘call in progress’ bar which displays whenever the user switches from WhatsApp. This is not a new thing as the same feature is used on Line and Skype as a way of notifying the user that there is an ongoing call on the platform. This functionality is made available by iOS APIs even though developers have the liberty to change the labeling and color schemes. Also, the WhatsApp developers have made it easier for users to attach photos to their text messages. This is made possible by including a small camera icon on top of the keyboard. This cuts down on the multi-step process currently in use whenever photos need to be shared. What Else To Expect With the New Whatsapp Version? The new call feature on WhatsApp is expected to be offered in a 4.5.5 version, though the 4.0.0 will be upgradable, to include the feature. Along with the call feature, it is expected that the new version will include the ‘record conversation’ and ‘instant sharing’ features as well. Also, the new version is expected to make it possible for WhatsApp users to share files that are more than 25MB, thus making it possible to share HD videos and more than 20 images at a time. The current location feature is set to be improved in the new version. This feature has been by far one of the best ones to be introduced. It uses the ‘last seen’ time to locate friends on the platform. This is all the information currently available on the new call feature set to be introduced with the next WhatsApp version. Whether or not some of these features will be implemented remains to be seen.